We love introducing people to the power of yoga. What we learn on our yoga mat translates into everyday life. By taking the time to focus on your body, you’ll be prepared to handle whatever life throws your way. Yoga increases flexibility and strength and helps reduce stress. It will regulate energy flow to attain a calm, relaxed mind. No previous yoga experience is necessary, and being flexible is not prerequisite. 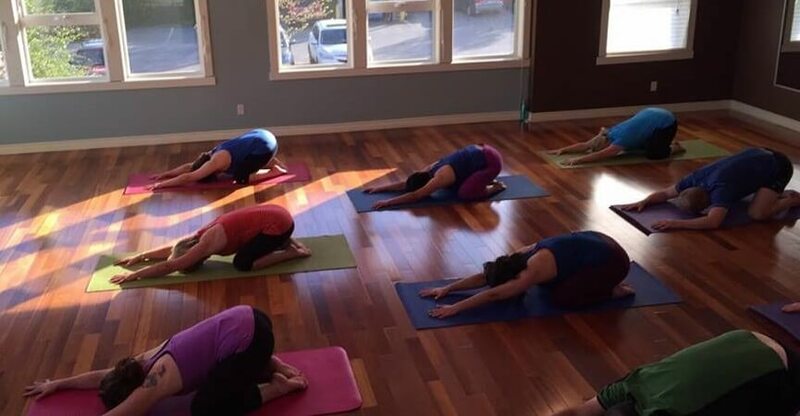 Whether you are an experienced yoga practitioner or just beginning your yoga journey, you will appreciate our Courtenay yoga studio which is centrally located, clean, bright and spacious. Our talented and diverse team of yoga instructors bring their own personality and flavour to Studio IPF. 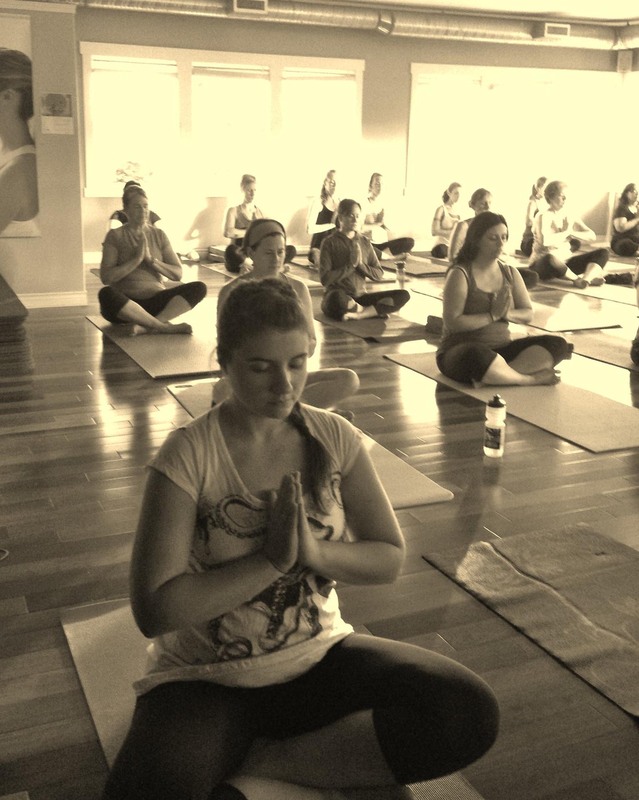 They are highly trained, experienced and certified to teach yoga classes that are well planned, safe and enjoyable! Focusing on physical postures, deep breathing, mindfulness and listening to your body, we’ll move through some of the more basic Hatha yoga asanas (postures) while weaving in breathing practice and yoga philosophy. Emphasis is on core strength, flexibility, balance, concentration and breath control. 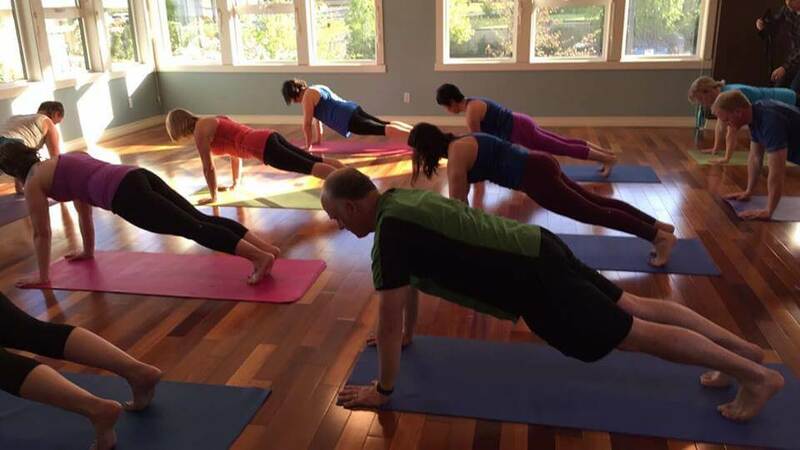 IPF Power Yoga is a fitness-based yoga practice. Gain total body and deep core strength, increase stamina, improve flexibility and build heat from the inside of your body. This class will allow you to release stress, and get energized! All levels welcome, but some yoga experience is helpful. Yin Yoga is a quiet practice that uses long held floor postures to stimulate the connective tissue that forms our joints. Each class targets the lower back and spine, hips and upper legs. This practice helps to restore the natural range of motion in the joints and offers the potential for deep release. The focus is less on striving, and more about acceptance as we slow down and connect body and mind. All levels are welcome. The IPF Yin & Restore class ends with a complete restorative and relaxing component. What a great way to start your Monday! This flow class will focus on quality transitions between postures and awareness of breath and mind. Learn the importance of proper form and learn to modify the moves to suit your body. IPF Rise and Energize Yoga is designed for every body, to help improve health, body performance and mental sharpness. 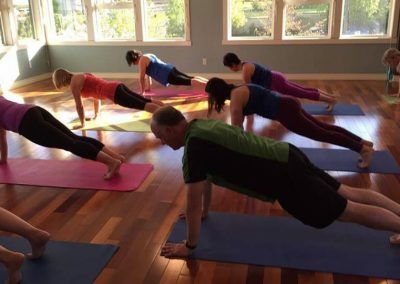 This 60 minute, 6am yoga based class blends balance, total body strength and flexibility to take your fitness level up a notch, and enhance your mental well-being. You’ll feel strong, revitalized and energized! This class is great in combination with our 6am Rise & Rock Bootcamp classes. Yoga is extremely popular these days, (for good reason! 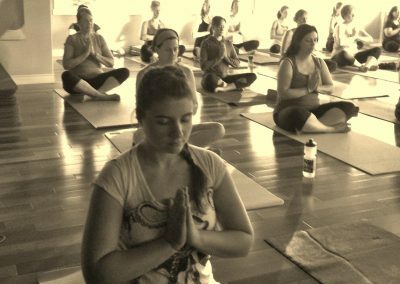 ), but does the idea of going to a yoga class make you feel anxious? We have the solution. Yoga for Absolute Beginners is designed to teach you the building blocks of a safe and effective yoga practice. 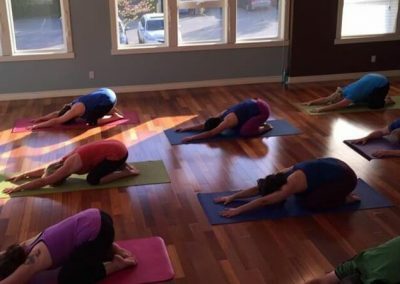 In this 8 week session, you’ll learn studio etiquette, what to expect from different styles of yoga, how to get in and out of poses properly, and how to modify postures to suit your body and your needs. We’ll teach you everything you need to know to feel comfortable on your yoga mat so that the next time you’re invited to a yoga class, you can breathe easy! This class is also very suitable for those with previous yoga experience who would like to review and practice the essentials of yoga. This popular class gives you the best of three worlds: Pilates, Yoga and Fitness! A sweet symphony of movement, blended with awesome music that will keep you energized and motivated. Leave class feeling refreshed and relaxed. No previous Pilates or yoga experience required. New for 2019! This dynamic, energetic, super fun workout blends Yoga, Pilates, Fitness and HIIT (High Intensity Interval Training). Based on our ever-popular Fusion Flow class, this format is taught at a quicker pace with high energy music to light your inner fire.